I was born in France and have been a programmer for many years. My son is on the team and I enjoy working with him and the other team members. Sign up to get the latest news, updates and event notifications. 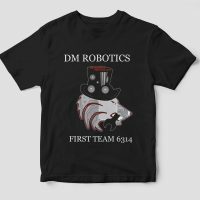 © Copyright 2017 DM Robotics - All rights reserved.